Bob Farrell’s back… and this time he’s giving out Leadership Pickles! What Bob Farrell did for customer service in the run away hit Give`em the PICKLE!, he’s doing again for leadership with The Leadership Pickles! 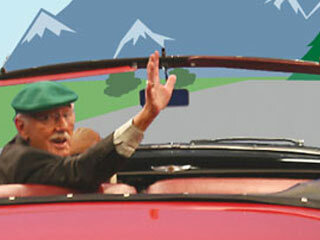 A FUN and INSPIRATIONAL training video on leadership with BOB FARRELL. 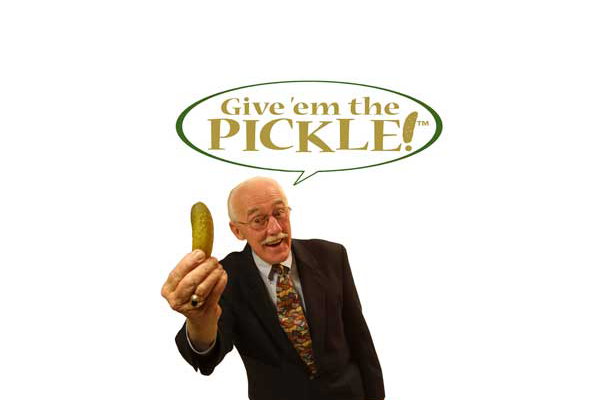 Bob Farrell’s back… and this time he’s giving out Leadership Pickles! What Bob Farrell did for customer service in the run away hit Give `em the PICKLE!, he’s doing again for leadership with The Leadership Pickles! The Leadership Pickles! combines Bob’s passion for serving others with powerful leadership stories to create a memorable and motivating message for leaders of all kinds. What defines a leader? According to Bob Farrell… “Leaders are those who SERVE the people who SERVE the customer.” Just as customers need pickles – those special things you do for them to keep them coming back – your employees need their pickles too. They want and need certain things from you as their leader. If they get them, they’ll follow you and achieve great things. If they don’t get their leadership pickles, their belief and respect for you as a leader may begin to slip. Being in leadership is a tough job. It requires you to be the best you can be. The Leadership Pickles! will inspire you to give your employees their leadership pickles! Spread ENTHUSIASM – Create a sense of urgency. Lend them your energy. Make things fun. Inspire CONFIDENCE – Take the fear out of the future. Keep them well informed. Convince people to try. Demonstrate INTEGRITY – Your team is always watching. What they see is what you’ll get. Do the right thing, whatever the cost.